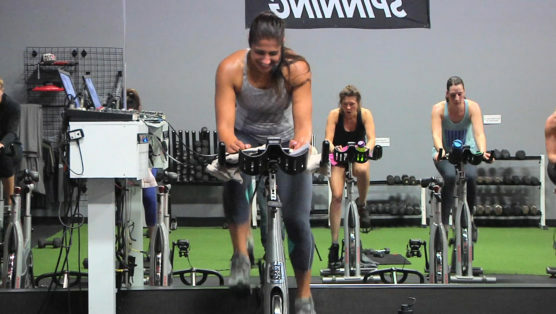 Expect your heart to race and your abs to scream in this Poppin’ Spin class. You’ll stay focused and engaged as you move on and off the bike through intervals to maximize every minute. It’s a high-energy, sweat-drenching workout that’ll help tighten that midsection, build power in the legs, improve endurance, and get that metabolism boosting; all in under 60 minutes. This 5 minute ab workout is perfect if you want to tighten that tummy! It’s a Tabata style workout that hits your midsection from every angle. When you finish, your abs will be on fire!!! Get your cardio and core ON in this 47-minute Spin and Core workout. You get to sweating within the first 5 minutes, take a little journey on the bike with some steep climbs and fast flat roads, with a couple sprints to add some flavor. 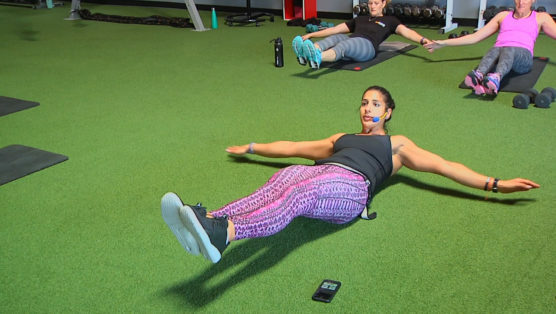 This workout is all about the ride, but in the last 5 minutes before we stretch it out, that core is going to get blasted from all angles so you feel slim and strong. 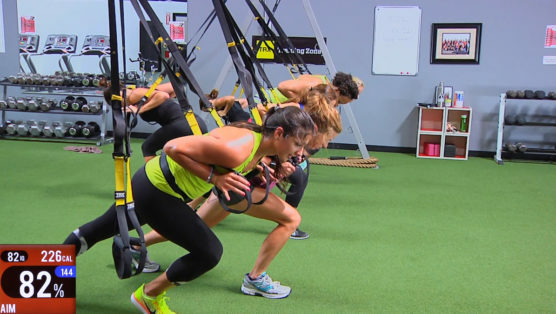 Get ready to hammer out an amazing HIIT workout (high intensity interval training workout) using just your TRX straps & that body. 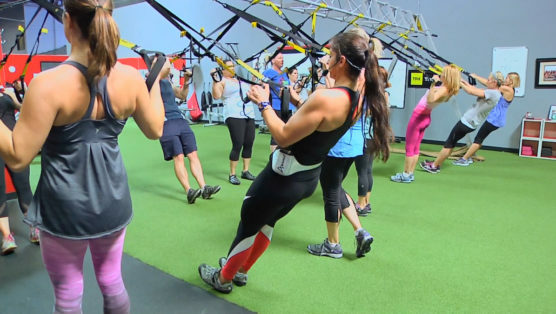 You’ll be transitioning back and forth between the body weight exercises and the TRX straps in a fun circuit style. Complete the circuit one time through for a 15 minute workout or two times through for the full 30 minute challenge! 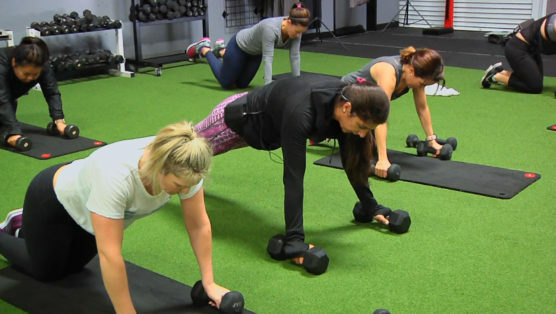 The reason these HIIT training workouts (where you work in intense periods with short recovery segments) are so popular is that they are scientifically proven to keep your body burning fat even after your workout is done. NICE! 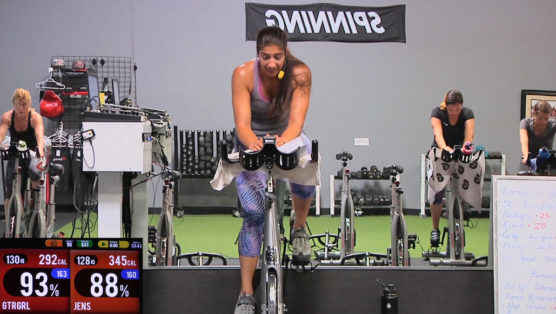 Get your lungs primed and your legs pumped with this 39 minute cycle workout! This killer spinning class will increase your power & stamina with climbs, push your speed, get your heart pumping and muscles burning. It combines fat-blasting sprints and thigh-trimming climbs to deliver a 1-2 slim-and-sculpt punch in very little time. Get after it team!